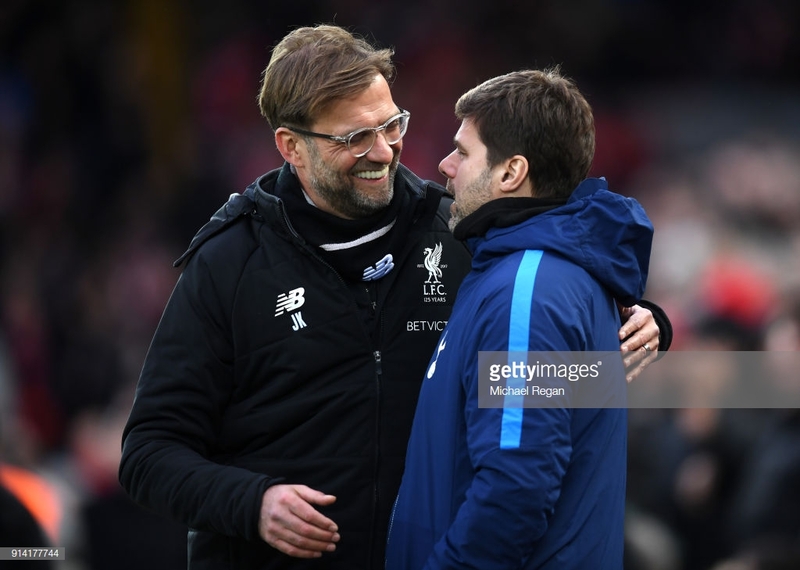 Liverpool manager, Jurgen Klopp believes Tottenham Hotspur are still amongst the title race. Spurs sit five points behind the leaders in third place after their victory over Newcastle United. The German manager spoke to Sky Sports following their Monday night draw away to West Ham United. The Reds suffered a second consecutive draw against West Ham on Monday night slipping up in their race to lift the title. "Tottenham have come from behind and had a very difficult situation until recently when they have done brilliantly winning games late with lots of injury problems," he said after Liverpool's 1-1 draw away at West Ham. "They are 100 per cent in the race," he said. The Lilywhites have made up ground on the Reds following back-to-back victories at Wembley last week. "Tottenham are incredible, the mentality, the strength to fight and fight and win points in the last minute." "They have Harry Kane and Dele Alli out right now, which is a major blow to them, but they're getting by," Klopp added. Are Spurs really in the race? Mauricio Pochettino's side currently lies in third spot on 57 points - five behind leaders Liverpool and just two behind second-placed Manchester City. A new lease of optimism engulfed the Club last week following consecutive league victories and the rumour of an early return for Harry Kane. Spurs face Leicester City on Sunday at Wembley but still have four huge games to come. The end of February and beginning of March will see Spurs tested in an away game to Chelsea followed by a home clash against Arsenal - both sandwiched between Champions League action against Borussia Dortmund. The Lilywhites will have their mettle tested in March and April as they travel to both Liverpool and Manchester City - games which could prove critical in their bid for the title. Should Spurs prove to be serious title contenders they will need Harry Kane to return firing on all cylinders as goals have come few and far between in recent weeks.